Elevator contractors, installers, and repairers are some of the highest-paying professions in the trade industry. According to Forbes, these professions earn more money annually than most other trades. Landing one of these apprenticeships is very competitive because there is an enormous number of applicants. Every candidate should expect to face two main obstacles—a pre-apprenticeship aptitude test and an interview. 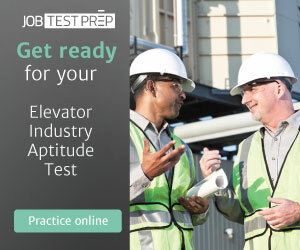 I will walk you through everything you need to know begin your career as an elevator contractor.